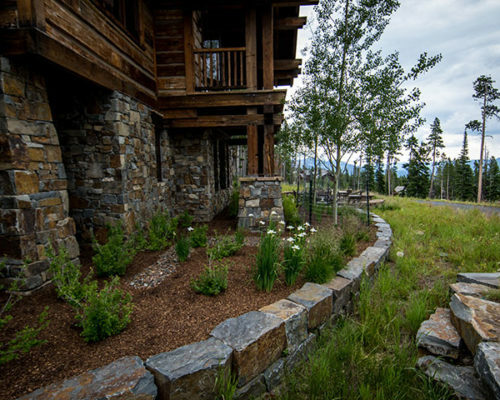 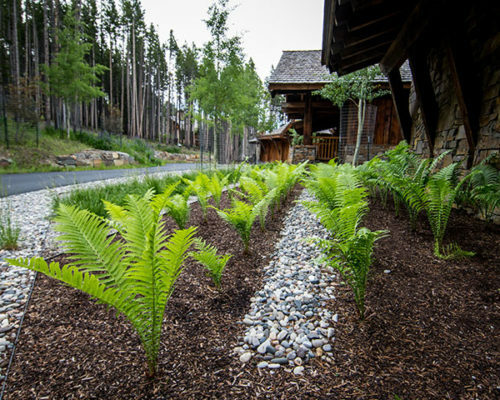 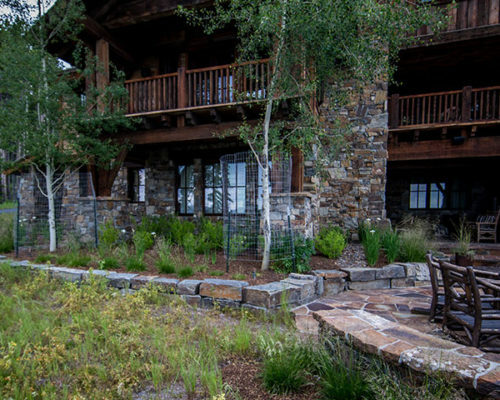 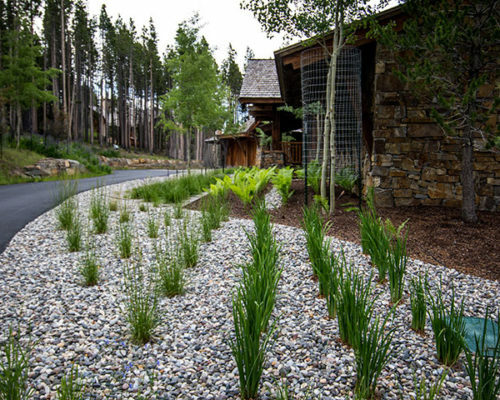 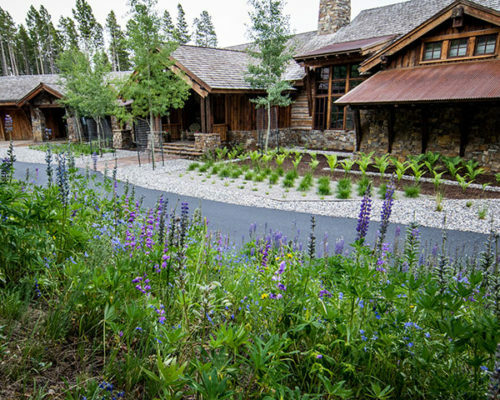 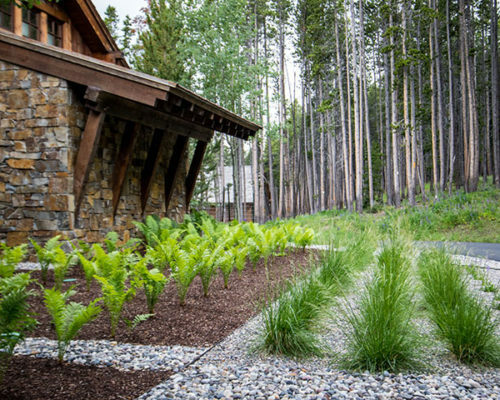 Yellowstone Club Private Residence – Beth MacFawn Landscape Design Inc. 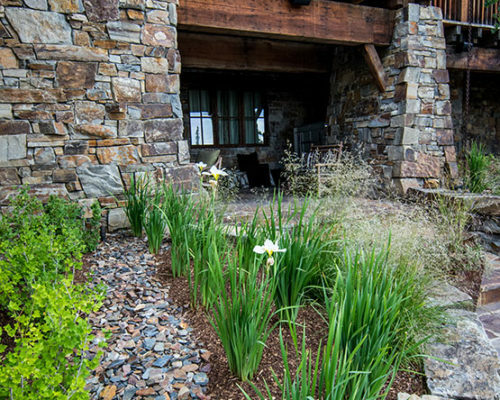 Creating a strong entry along the driveway, to the front door, this design included bold, block plantings. 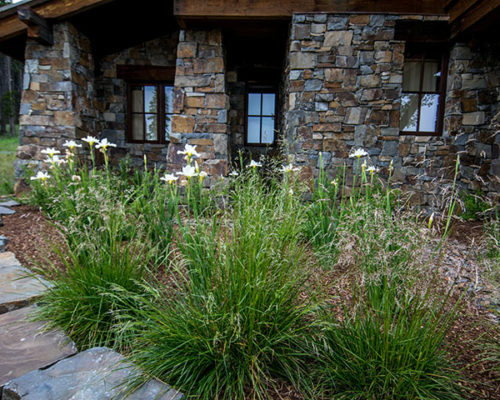 Softening along the hot tub patio provided the opportunity for native grass plantings.